Wednesday was service day at the Round Square International Conference in Louisenlund. 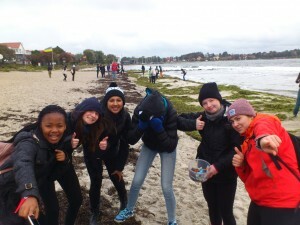 I was assigned to a larger group of ~60 delegates, all of whom would be participating in a cleanup of a local beach in the town of Eckernförde, just off the Baltic Sea. When we first arrived, I remarked to a friend that there really wasn’t much to clean: the beach looked spotless! We split into two groups and got our hands dirty, closely inspecting the sand for any trash in need of proper disposal. Amazingly, after a short half hour into our search, we had amassed several bucketfuls of various types of trash, including cigarettes, straws, wrappers and other unrecognizable pieces of plastic. On Tuesday night, we were shown a clip about the staggering “Great Pacific Garbage Patch.” It explained how the plastics in most consumer goods degrade extremely slowly in the ocean, though ultimately disintegrating into microplastics, or tiny pieces of plastic less than five millimetres in size. These plastics become extremely difficult to filter out from the seawater because they are so small, yet they still pose a deadly threat to animals and to other members of the aquatic and even terrestrial ecosystems. 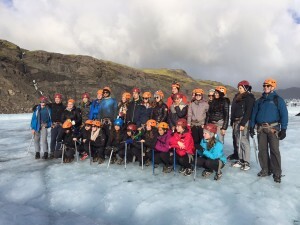 Reporting LIVE from Germany: This is Abby writing on behalf of the entire LCC Round Square Conference Team and sharing with you our adventures encountered during our pre-conference trip to Iceland. On October 5th, my group and I all met at the Montreal airport filled with excitement as well as 20 kilos of every single type of clothing we could fit into our bags (as Icelandic weather was a mystery to us!) Two plane rides later, a four-hour time difference and barely any sleep, we landed in Iceland and met the four other schools we were going to spend the next few days with. As we were all tired, we mostly spent our first day driving into Reykjavik, the capital of the country, and stopping to sightsee along the way. We explored Viking World where we learned about the history and culture of the country. We even got to go on a boat at the museum! The second day was jam-packed. We started off by visiting the Golden Circle, which is a huge waterfall! After having barely made it out alive due to the strong winds, we got back onto the bus and went to go see geysers. This is where I learned that Iceland is home to thousands of geysers that contain an abundance of sulfur. Steam would be spraying out of all these holes and, for the biggest one there, it would explode every 15 minutes. I was lucky enough to see the geyser’s water burst up into the air and even fall all over some of my friends on the trip that, without knowing, were in the “splash zone.” Finally, at night we went to the Blue Lagoon. Personally, this was my favourite part of the trip. We got to swim in an actual hot spring! Our group went very late at night, which made the experience even more memorable as we were entirely in the dark. We all got to spend two hours in the lagoon, which was warm and incredibly wavy. This was scary for me since we were told that it was not a good idea to get our hair wet in the water as it would become hard. I therefore had to bounce around and “ride the waves” to ensure that my 5’1 body would not dunk under the water. We all had a superb time! 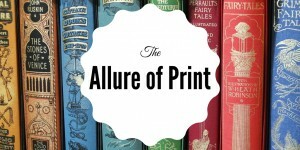 Now that we are able to do so much online, it can seem like print books are no longer useful. They’re heavy. They get dusty. They weigh down your backpack and fill up your locker. Why lug those things around when you can read almost anything on a screen now? There are e-books, digital databases, online textbooks. La Presse recently stopped printing a daily paper (except on Saturdays). Now, the best way to access it is through its app, which the Toronto Star is also using. But the allure of holding an actual book in your hands is one that tablets and laptops can’t duplicate. 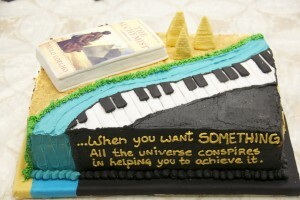 Books are tactile objects that you can touch and smell. You can fold the pages over and write in the margins. People still love books. E-book sales are down, and sales of second-hand books are up. University students continue to prefer textbooks in print – even when they’re given the electronic version for free. They find that it is easier to focus on a physical textbook, it is easier to highlight, and there is less chance of distraction. And research shows that a well-stocked home library improves children’s academic achievement across the globe, regardless of their socio-economic status or the country they live in. A solid 21st century school library should offer a combination of books, e-books, and databases to provide students with the information they need. As a librarian, not only do I believe that print and digital resources can peacefully co-exist, but that they complement each other. There are times, like when you’re standing on the metro or crammed into an airplane seat, that e-books just make more sense. But then there are other times, like a rainy day when you’re curled up with a cup of tea, when only a real book will do. 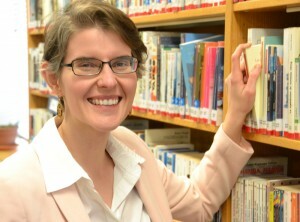 Laura Sanders, the Head Librarian at Lower Canada College, received her Master of Library and Information Science from McGill University in 2013. She taught English Literature abroad for four years and enjoys reading in both print and digital formats. Our special guest for today’s LCC Reads assembly embodies the ideals Coelho captures in The Alchemist. Patrick Watson ’97, an alumnus of our school and my former student, learned early in his life his reason for being. As a young man, he aspired to be a professional musician, not the kind of livelihood parents tend to support enthusiastically. 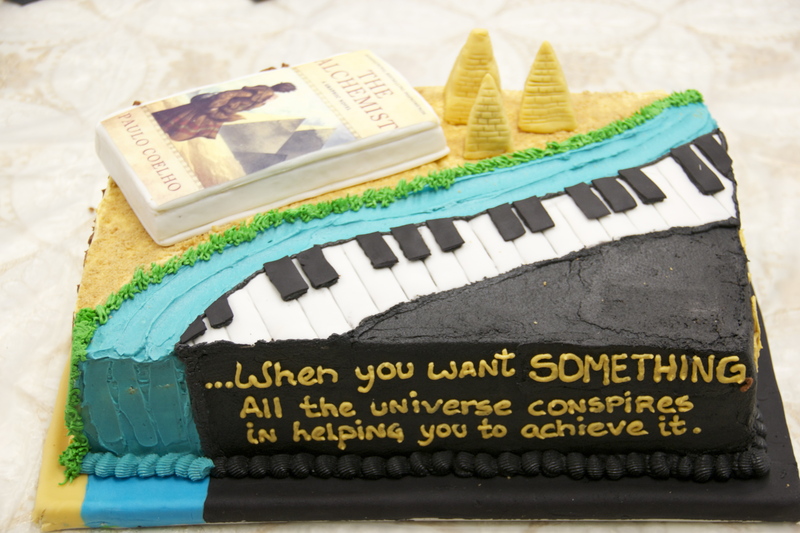 However, in his single-minded pursuit of his dream, Mr. Watson has not only succeeded but also excelled. His personal legend is to create music, and, unlike many who did not persevere and gave up on their dream, he was not afraid to pursue his most important dream and continues to remain true to his ideals. Likewise, In a collective way, over the past ten years, the LCC Reads Committee has realized its personal legend: to promote the value and joy of reading. Reading and self-reflection, along with positive action, allow us to understand our place in the world and our true aspirations. As American author Stephen King writes, “Books are a uniquely portable magic.” Reading is transformative; it can change you and your thinking; it turns base metal into gold. It is not every day that one gets to meet a celebrated, world-renown, prize-winning author (though truth be told, it is, at LCC, an annual occurrence – courtesy of our very own librarian and the LCC Reads Committee). It isn’t every day that students are treated to the words and wisdom of a great storyteller, a master at building suspense and at fuelling reflection on social issues. It certainly isn’t every day that students are so privileged as to be taught narrative fiction by a real live author. 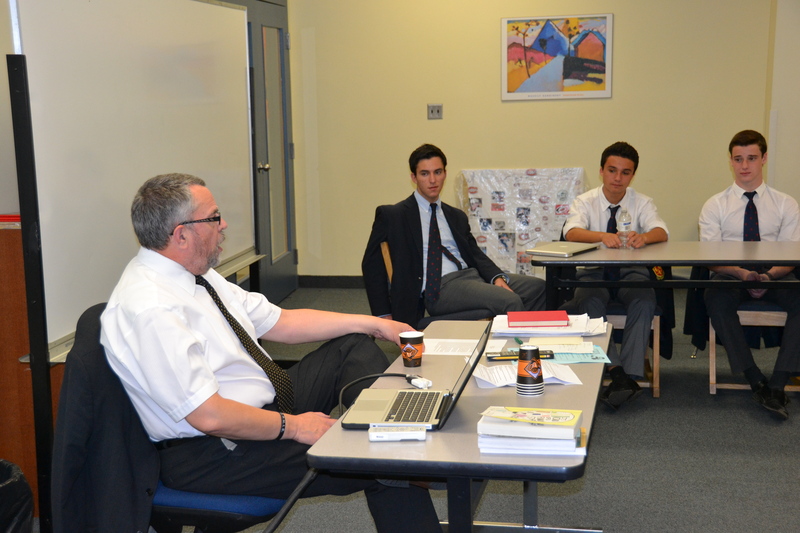 And yet, it is precisely what LCC students got to do in October, when British author Alan Gibbons came to LCC. Alan Gibbons is, as all of LCC knows from the chilling summer read, the author of the book Caught in the Crossfire. In front of an assembly Middle and Senior School students, he recounted in his inimitable style, the salient points of his life and career. He shared the story of when he received the Blue Peter Book Award. But Alan Gibbons is also, and perhaps above all, a teacher. 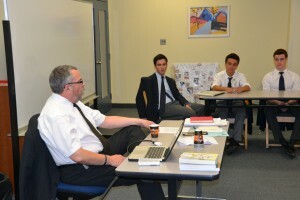 He came to the grade 10 PREP class to teach us how, from a variety of known narrative techniques, we can write a story in our own personal style. Appropriately enough, since it was, after all, the month of October, of witches and warlocks and things that go bump in the night, we learned how to use tension to write a great ghost story.